I taste so many great wines without the club to put them in…I got frustrated and said to myself "just start the clubs you want"...and here they are. Three of the newest offerings from the Original Wine of the Month Club...Napa Series, Bordeaux Series and the Rose Series. I Guarantee "You never pay for a wine you do not like"
Wine of the Month Club is proud to introduce 3 new clubs for you to enjoy. 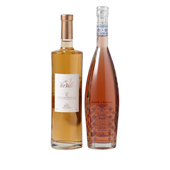 Two curated selections of the best Rosés I can find from all over the world. Though the Provence region in the south of France is home to the most popular Rosés anywhere, virtually all wine growing regions in the world tout their own version of Rosé. We have been tasting and evaluating 100s of Rosés from dozens of grapes and dozens of regions ... and now I have the privilege of presenting two of these examples every other month, as we launch our new clubs this October. 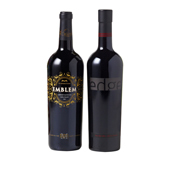 Wines arrive at $39.99/month plus shipping and applicable state taxes. Cancel any time. I'm not sure this club even needs or warrants an introduction. I mean, what else could be meant by the Napa Club? Napa Valley wines burst onto the worldwide wine scene in 1976 at the Taste of Paris, and they have never looked back. At what became known as "The Judgement of Paris," Chateau Montelena took honors with their 1973 Chardonnay, Stag's Leap Wine Cellars, besting the best Bordeaux to win the reds. WOW! For this club, we scour the region for unique and expressive Napa Valley wines. I will send you two bottles every other month, arriving at $49.99/month, plus shipping and applicable state taxes. Cancel any time. Choose two (2) reds, or one (1) red and one (1) white wine. It doesn't get much more pedigreed than this. 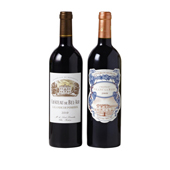 The universally revered wines are from Bordeaux, France, and they are sought-after the world over. Many Bordeaux are release at over $1,000 a bottle. Well, I know is that there are over 10,000 châteaux in Bordeaux, and there are many wonderful finds with very competitive pricing. Between trade tastings and boots on the ground in Bordeaux, we find the greatest values from all the various sub-districts of this iconic wine-growing region. I will select two wines every other month and they will arrive at $49.99/month, plus shipping and applicable taxes. Cancel any time. Choose two (2) reds, or one (1) red and one (1) white wine.